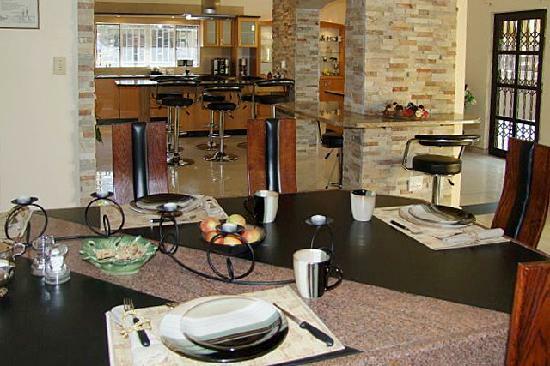 Ambience and elegance – in a centrally located suburb of Windhoek. 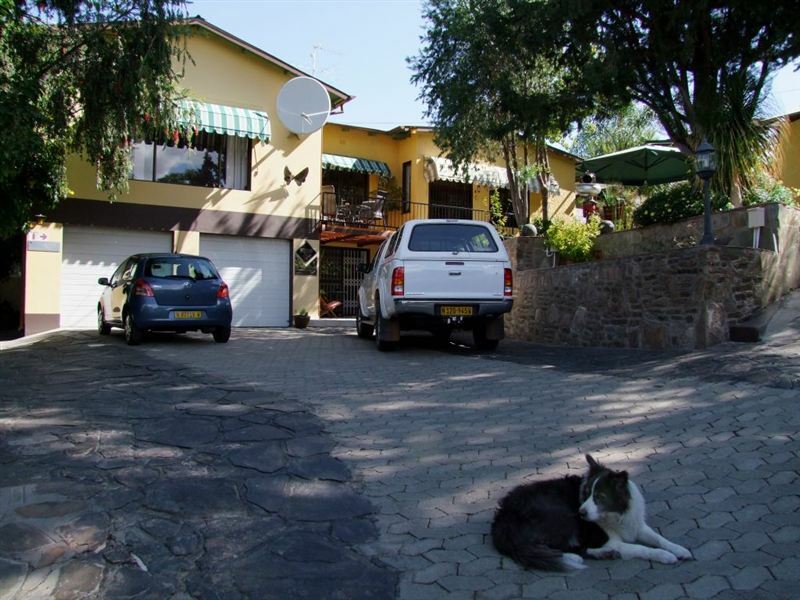 MAISON AMBRE GUESTHOUSE is situated on the scenic eastern slopes of Luxury Hill in Windhoek, offers you excellent accommodation in beautiful surroundings only 2 minutes drive from the city centre and many tourist attractions. MAISON AMBRE GUESTHOUSE offers both business travellers and tourists 5 comfortable luxury double rooms with en-suite shower and toilets. Some rooms can take additional bed(s) for kids or triples. A fully furnished one-bedroom self-catering apartment which features a spacious lounge and kitchenette will be available as from Jan 2011. At MAISON AMBRE GUESTHOUSE all rooms and apartments have airconditioning, roof ventilators, heating, kettle, fridge, wall-safe, alarm-clockradio, satellite television and hair dryers. MAISON AMBRE treats its guests to a scrumptious breakfast buffet, served in personal atmosphere in the stunnung breakfast room, or depending on the weather under african skies on the sun deck which has modern decor and stylish furnishings. MAISON AMBRE is nestled within the hills of the panoramic Klein Windhoek valley and offers a green garden which invites our guests to relax in real Namibian comfort with its tranquil nature and great birdlife. A heated swimming pool, outside-bar and patio is there for your enjoyment. 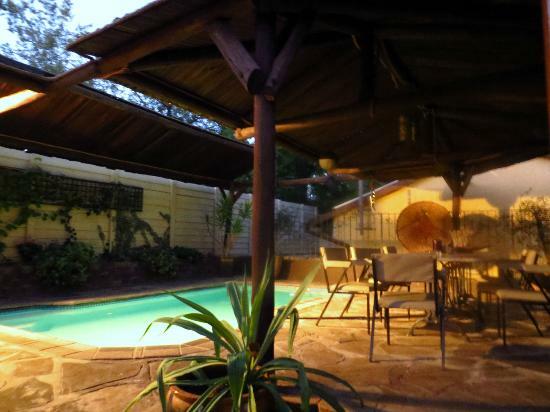 MAISON AMBRE GUESTHOUSE is within walking distance from the Klein Windhoek Business Centre. You will be able to find a post office, different bank branches, ATM’s, a shopping centre with a variety of shops, pharmacies and some of the most renowned restaurants of the Capital City of Namibia. Additionally and on request, MAISON AMBRE offers its guests, a wash- and iron service for their personal clothing. If required an airport transfer can be arranged. Secure parking of your vehicle offers peace of mind. Our reception offers access to Telephone, Fax, PC and Email. Namibia offers guests to make use of their own mobile phone, – you only need to rent a SIM card.